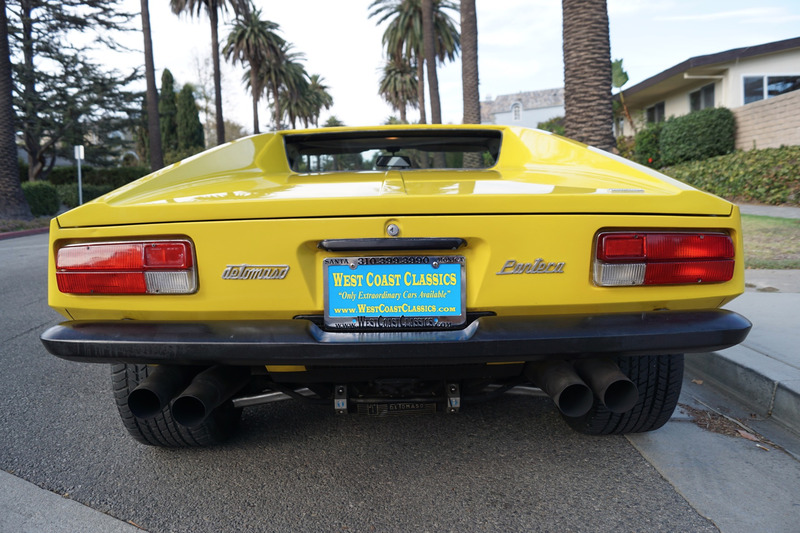 West Coast Classics are proud to present an absolutely exceptional condition example of this long time owned 1974 De Tomaso Pantera L 351/266HP V8 Coupe in the beautiful and highly desirable color combination of original factory 'Yellow' color exterior paint with black leather seats interior with factory options of air conditioning and power windows in all stock and original condition apart from one repaint in its original factory color and with only 31K original miles! 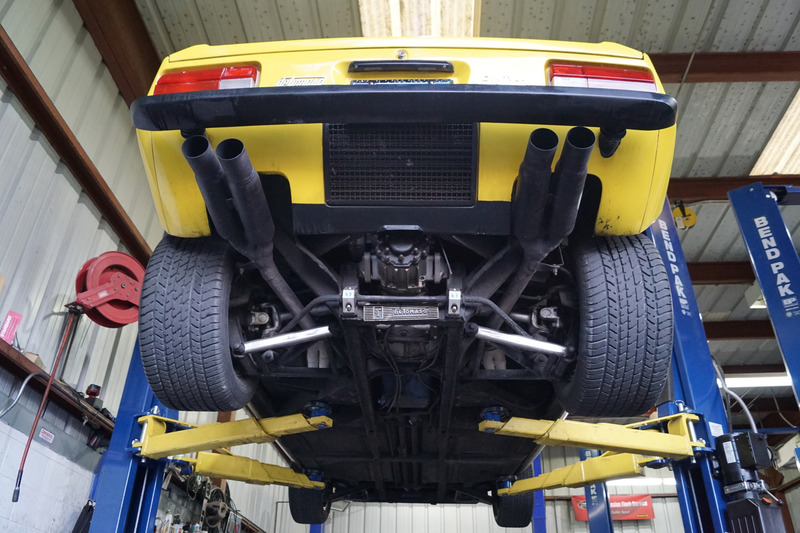 With a 351 cubic-inch V-8 singing at 5,000-rpm behind your head, the Pantera accelerated from 0-60mph in 5.5 seconds, and runs the quarter-mile in 13 seconds flat. A successful combination of Italian styling and American power, the Pantera was an affordable 150-mph Supercar, complete with a Ford-backed factory warranty! 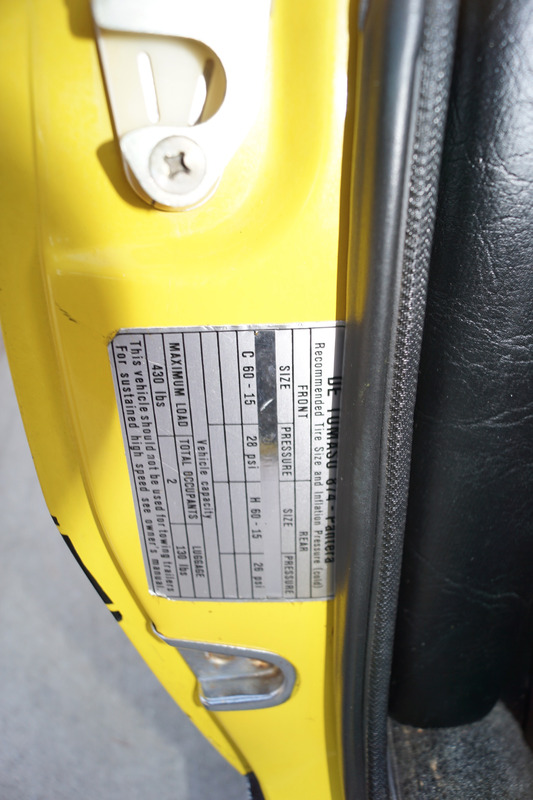 This particular example will be sold with its original owners manual and its original factory tools. 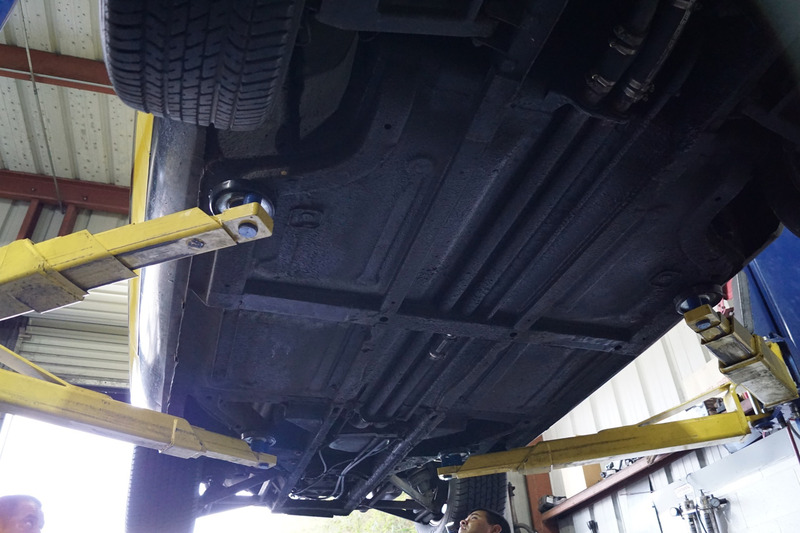 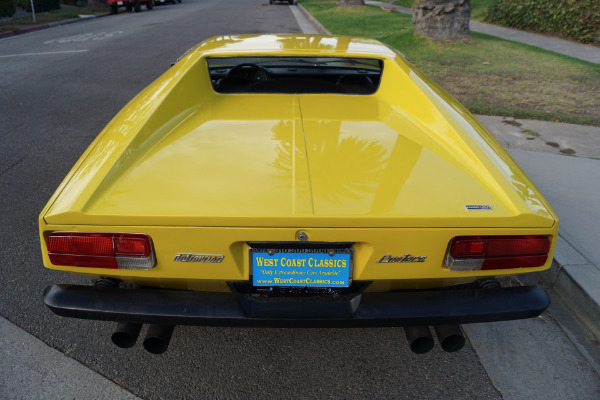 Driven only sparingly, reportedly never seen rain or bad weather and always garaged and always well maintained and serviced with literally thousand and thousands of dollars spent in preventive maintenance as required over the years. 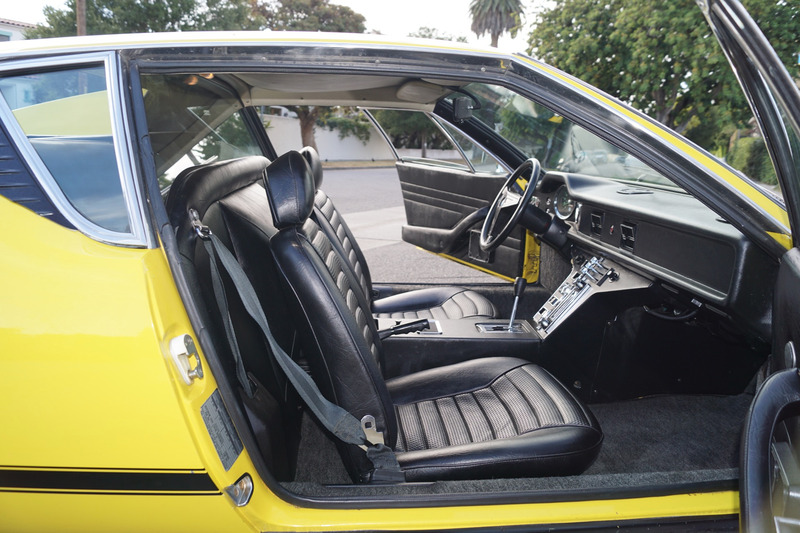 The car boasts its original Pantera steering wheel, AM/FM radio / 8 track cassette player, factory air conditioning, power brakes and windows, original Pantera air cleaner and valve covers, all 4 original 'De Tomaso Campagnalo' wheels with dust caps and center hubcaps and 4 virtually new Dunlop Radial GT tires and remarkably even the car's 4 original tires will be included in the sale if desired. 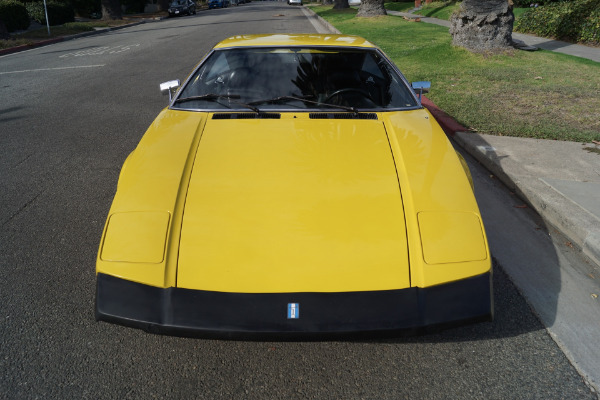 Always garaged with absolutely no accidents, and rare for these models, absolutely no rust whatsoever, as Panteras used monocoque (or unibody) construction, so corrosion can be especially serious! 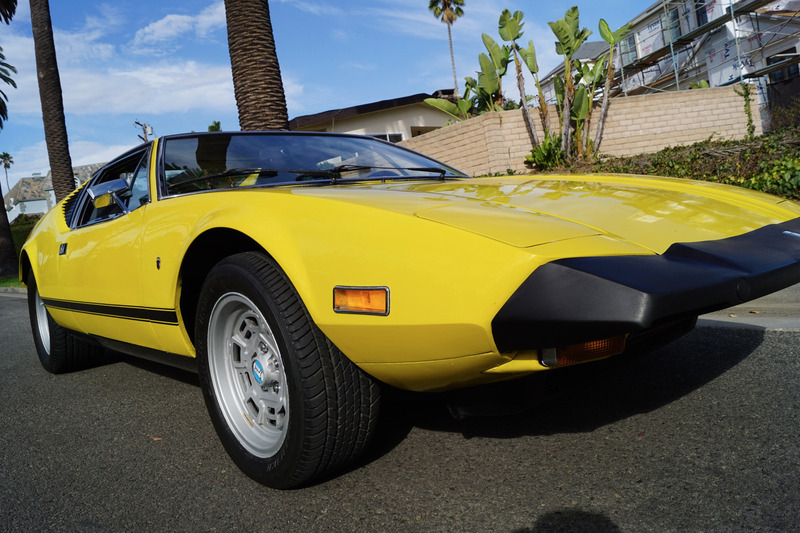 Owned by reportedly only two obviously very careful and meticulous mature drivers since new with its most recent owner, a retired dentist having purchased the car from its original owner with only 8,279 original miles and who had owned the car for almost 30 years before selling it to us - never raced or abused, with only 31K original miles! 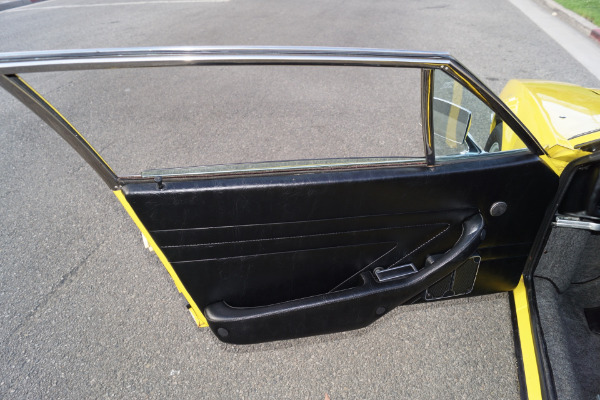 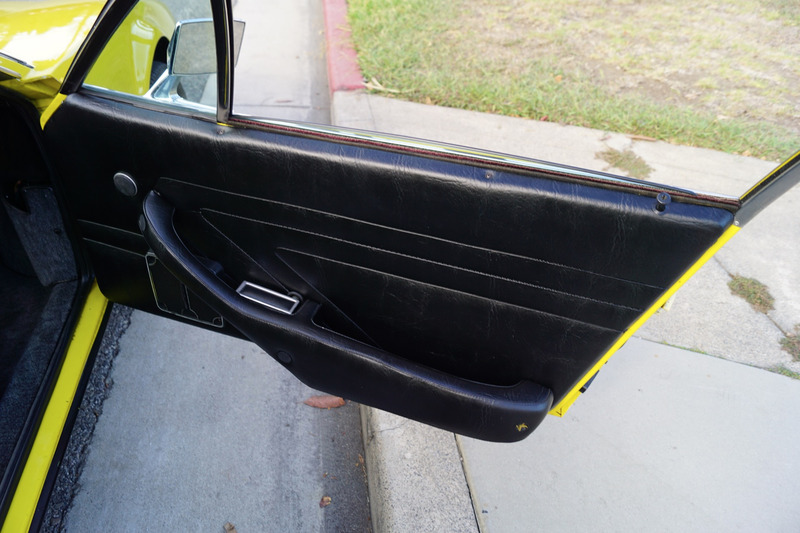 The original and very striking factory 'Yellow' color paint is in absolutely beautiful condition with only one professional repaint and with only very minor imperfections, if any, only noticeable upon very close inspection. 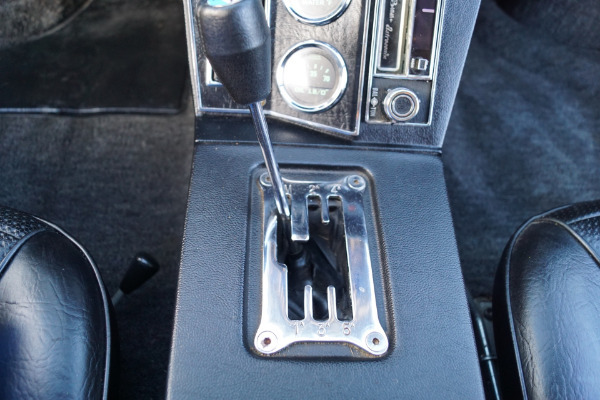 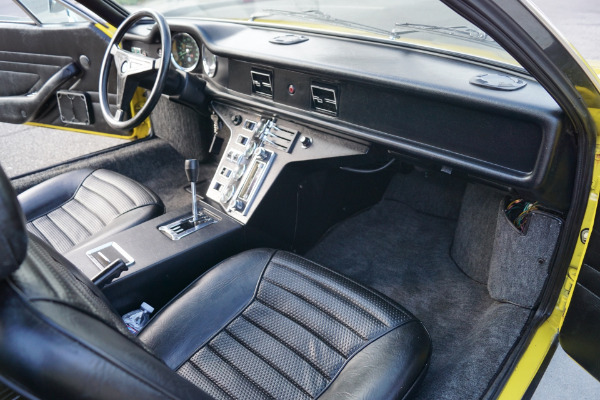 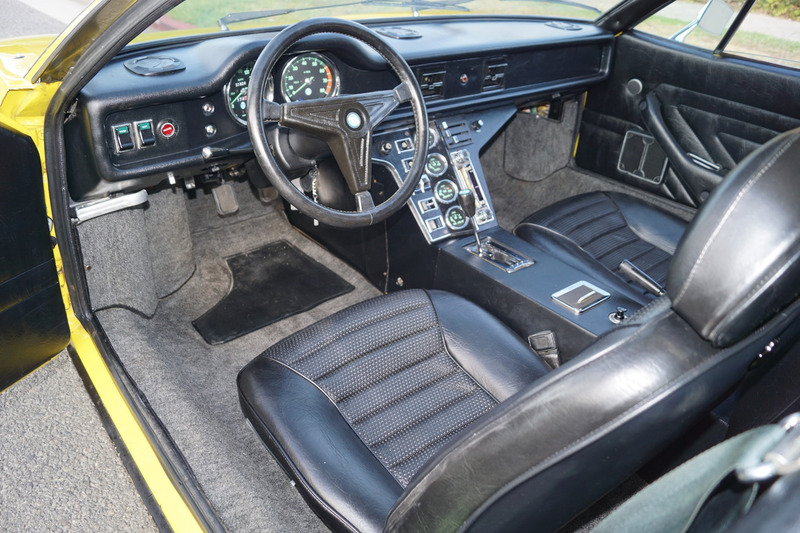 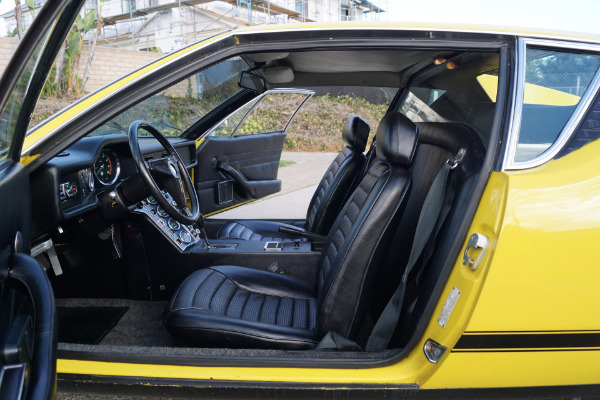 The completely original and stock black leather interior boasts its original Pantera steering wheel and 'Veglia' gauges and is also in absolutely beautiful condition throughout with virtually no signs of any wear. 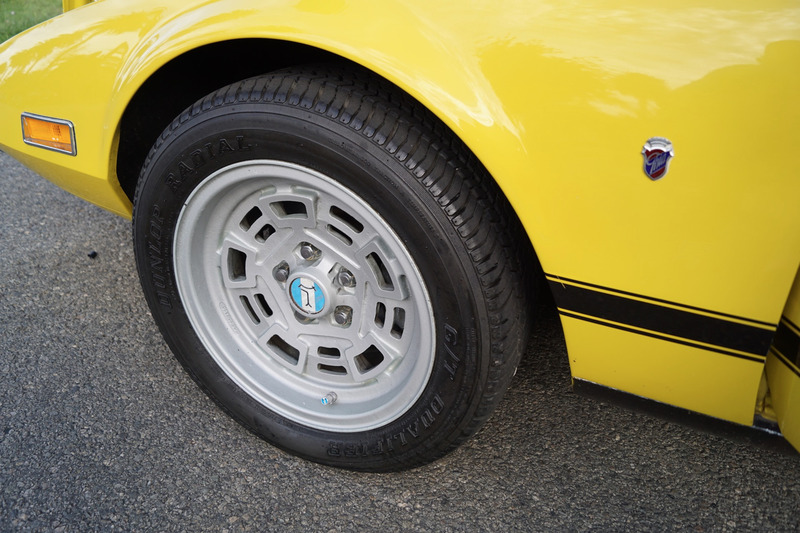 The car's original 'Campagnalo' wheels are uncurbed and virtually unblemished and the original spare has never been used. 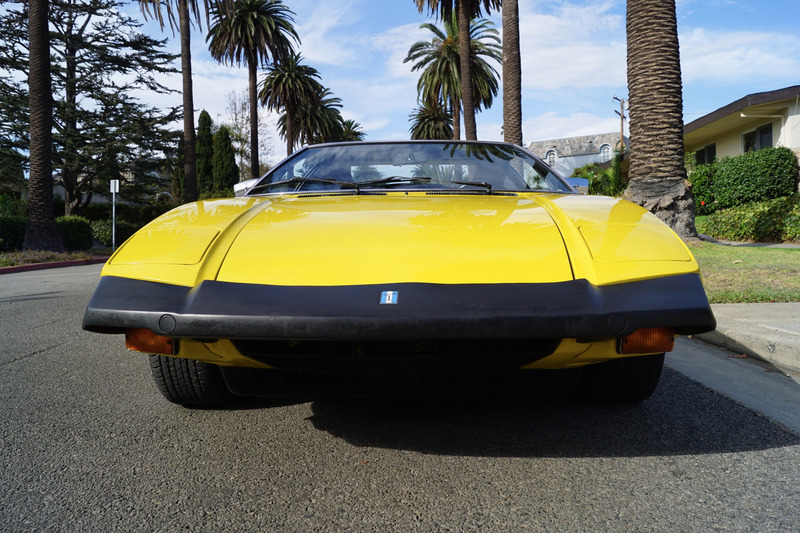 The Pantera, Italian for 'Panther', was a mid engineered sports car produced by the De Tomosa car company of Italy from 1971-91. 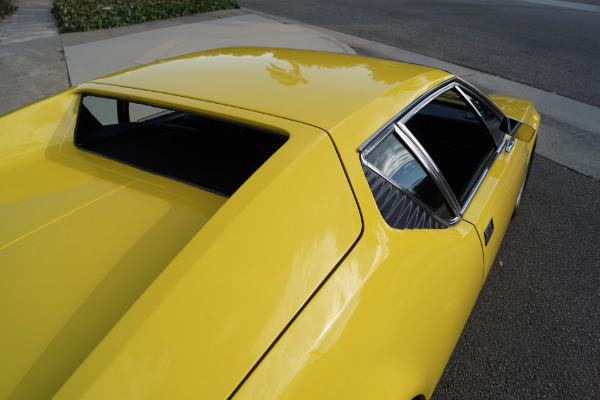 The car was designed by the Italian design firm 'Ghia' and replaced the De Tomosa Mangusta but unlike the Mangusta, which employed a steel chassis, the Pantera was a steel monocoque design, the first instance of De Tomaso using this construction technique. 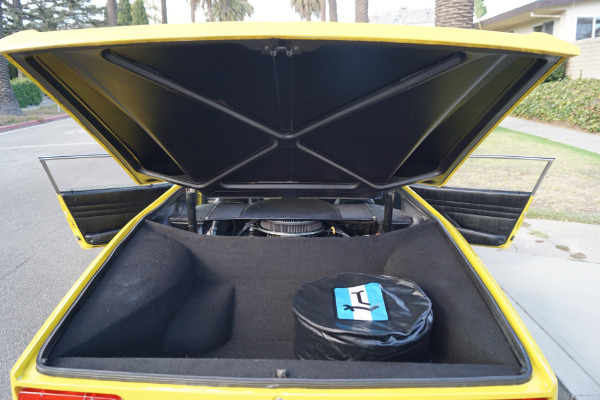 The Pantera logo included a version of Argentina's flag turned on its side with a T-shaped symbol, reportedly the symbol was designed by Alejandro De Tomaso himself, in a nod to the automaker founder's cattle ranchers ancestors as he was born and raised in Argentina. 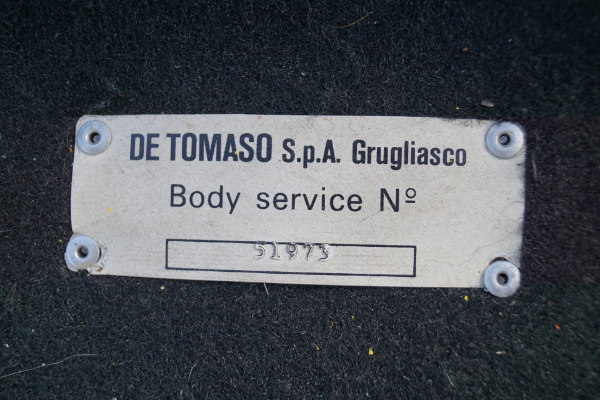 He had emigrated in his 20s to Italy in order to avoid political persecution from Juan Domingo Peron, president of Argentina in those days. 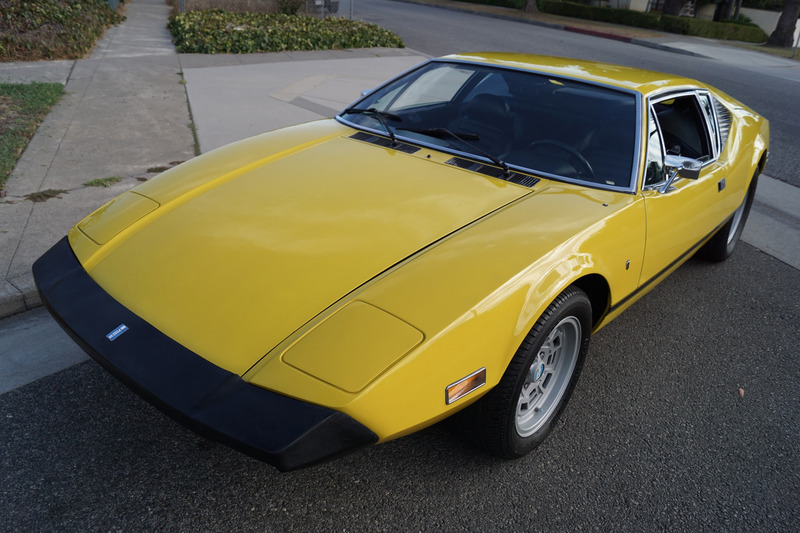 The car made its public debut in Modena in March 1970 and approximately a year later the first production Panteras were sold and production was increased to three per day. 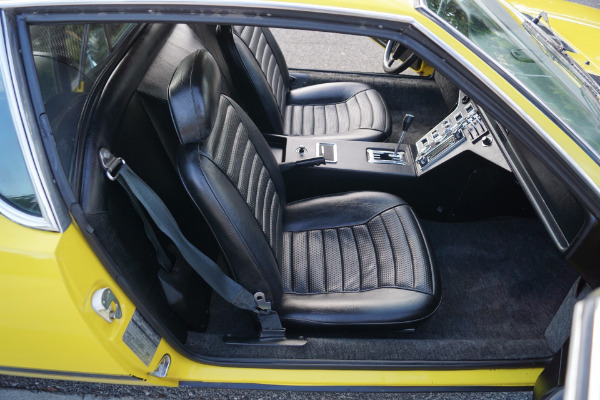 The curious slat-backed seats which had attracted comment at the Modena Show were replaced by more conventional body-hugging sports-car seats in the production cars: leg-room was generous but the pedals were off-set and headroom was tight for drivers over 6 ft tall. Reflecting its makers' transatlantic ambitions, the Pantera came with an abundance of standard features which appeared exotic in Europe, such as electric windows and air conditioning. The ZF transaxle used in the Mangusta was also used for the Pantera. 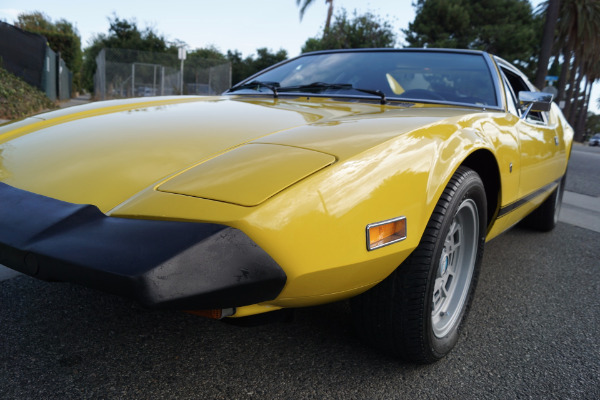 Power-assisted four-wheel disc brakes and rack and pinion steering were all standard equipment on the Pantera and the 1971 Pantera could accelerate to 60 mph (97 km/h) in 5.5 seconds according to 'Car & Driver' magazine. 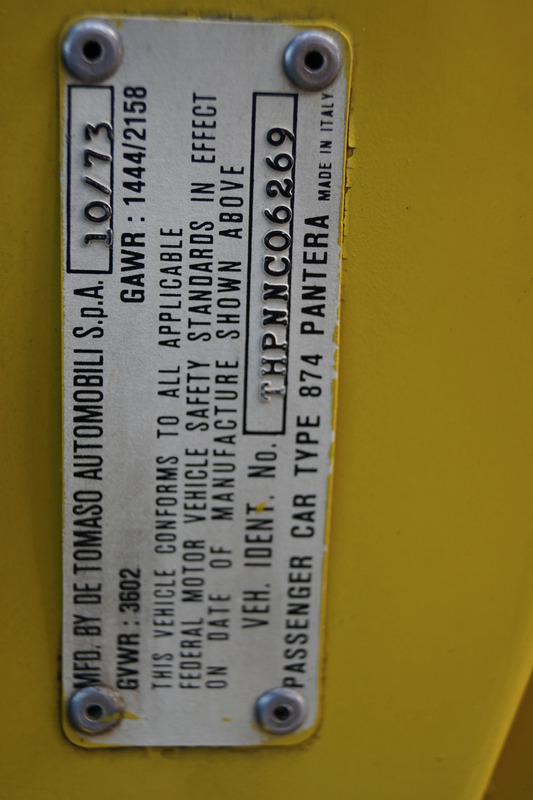 Late in 1971, Ford began importing Panteras for the American market to be sold through its Lincoln/Mercury dealers. 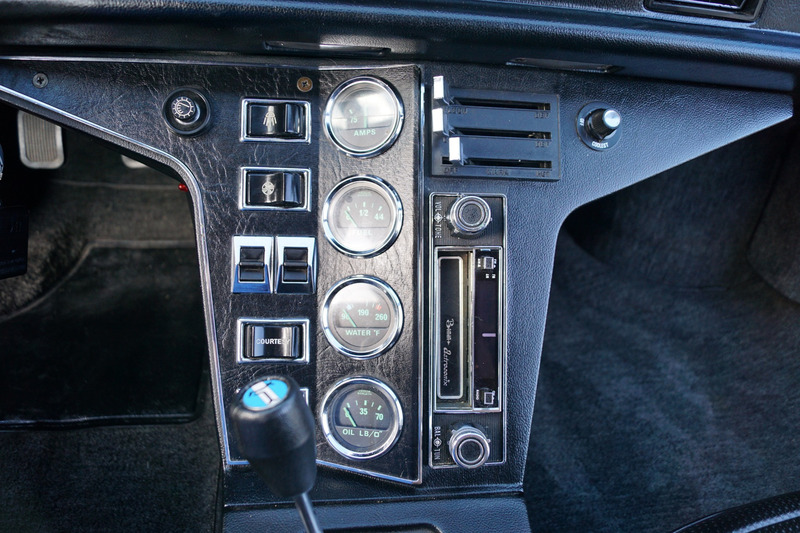 The first 75 cars were simply European imports and are known for their 'push-button' door handles and hand-built 'Vignale' bodies. 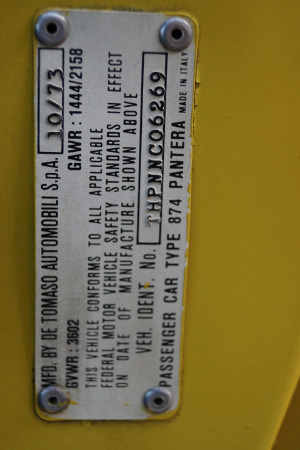 A total of only 1,007 Panteras reached the United States that first year. 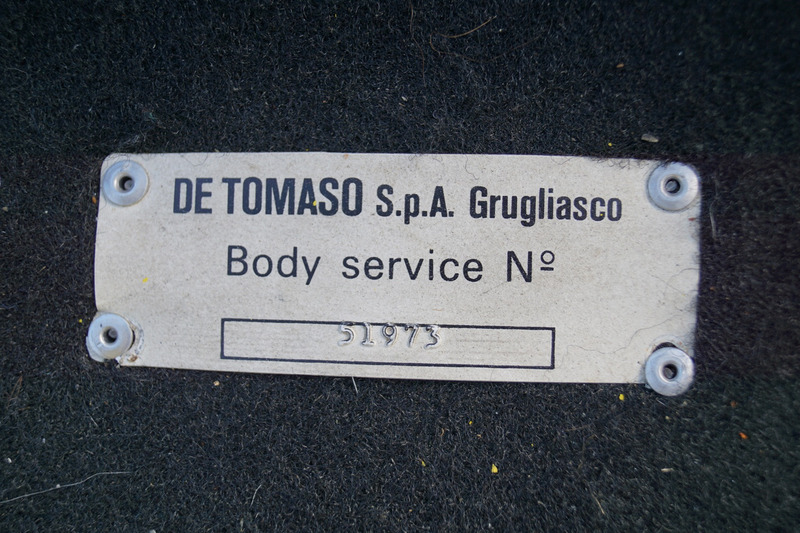 As with most Italian cars of the day, rust-proofing was minimal and the quality of fit and finish on those early models was poor with large amounts of body solder being used to cover body panel flaws. 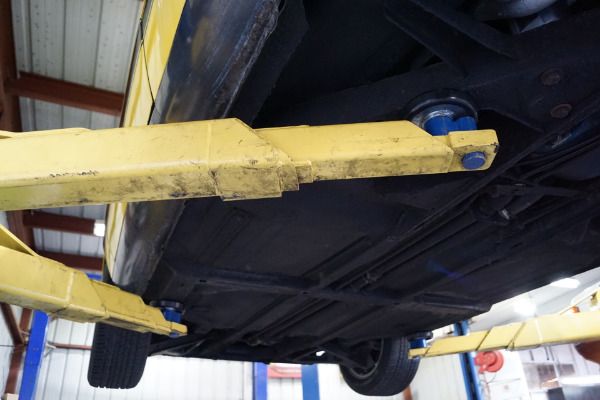 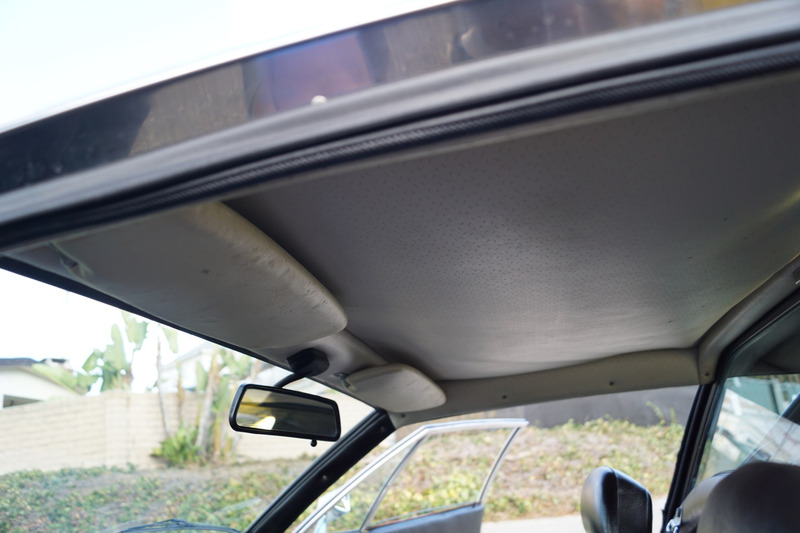 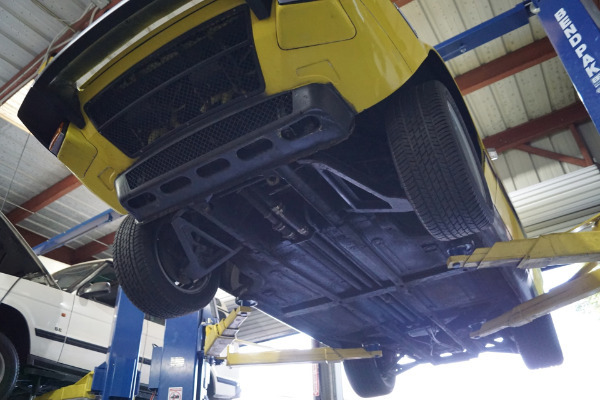 Subsequently Ford increased their involvement in the production of the later cars with the introduction of precision stampings for body panels which resulted in a significant improvement in overall quality. 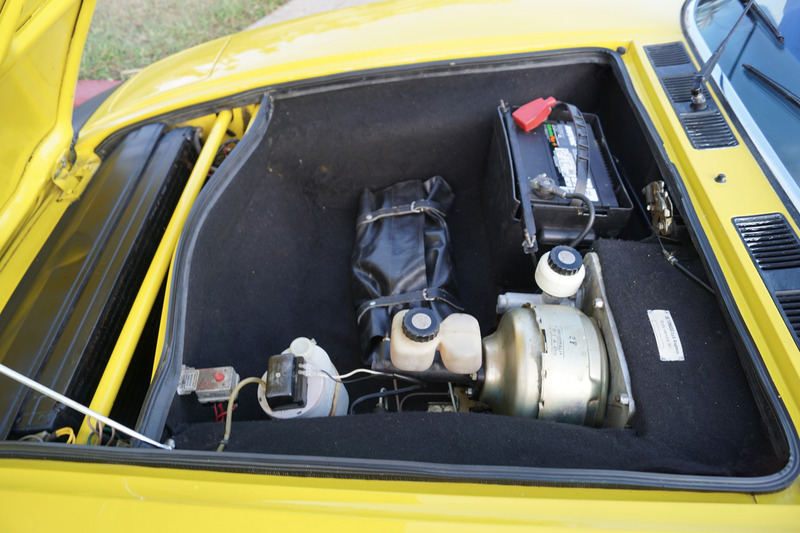 Several modifications were made for the 1972 model year Panteras. 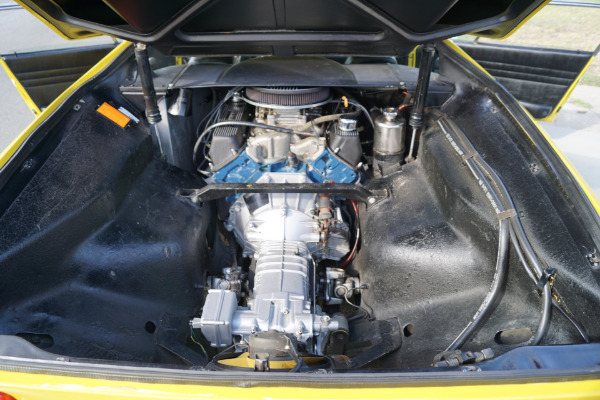 Most significantly, a new 4 bolt main 'Cleveland' engine, also with 351 cu in, was introduced with a lower compression ratio but with the more aggressive and legendary 'Cobra Jet' camshaft (featuring the same lift and duration as the 428 Cobra Jet's factory performance cam) in an effort to reclaim some of the power lost through the reduction in compression along with a dual point distributor. 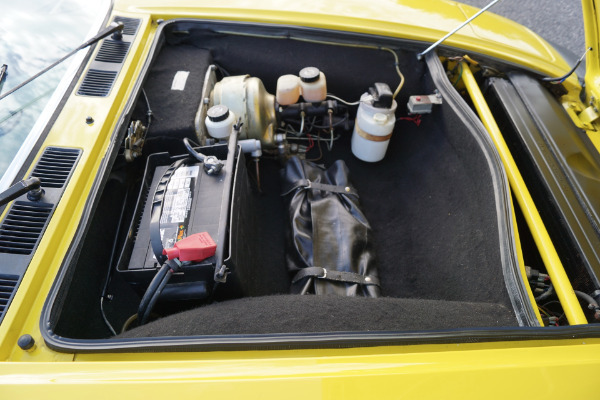 Many other important engine changes were made, including the use of a factory exhaust header. 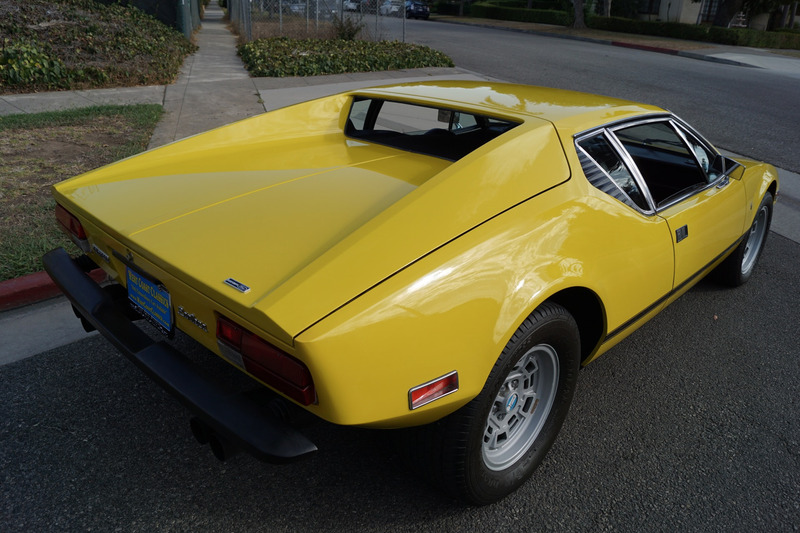 The 'Lusso' (Luxury) Pantera L was also introduced in August 1972 as a 1972 model. For the US market it featured a large black single front bumper that incorporated a built-in airfoil to reduce front end lift at high speeds, rather than the separate bumperettes still used abroad, as well as a 266 HP Cleveland engine. The 'L' model featured many factory upgrades and updates that fixed most of the problems and issues the earlier cars had experienced. 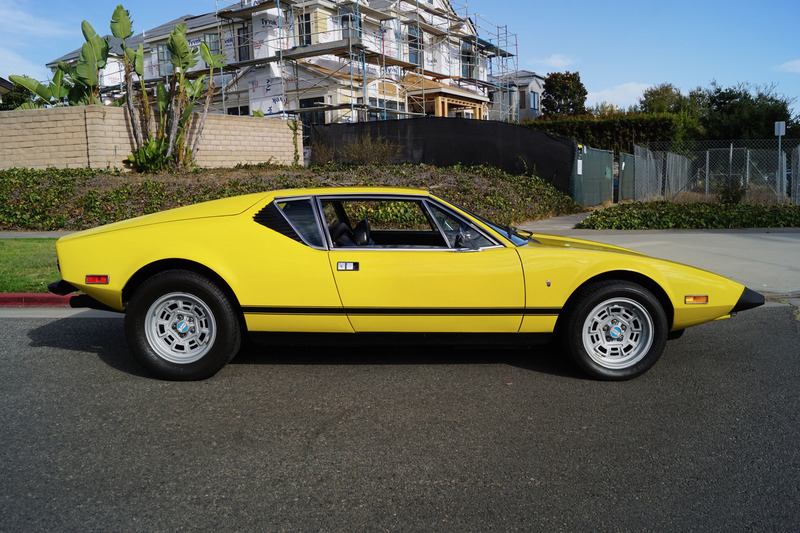 It was so improved that the 1973 De Tomaso Pantera was named Road Test Magazines 'Import car of the Year', beating out Ferrari, Maserati, Lamborghini, and Porsche! 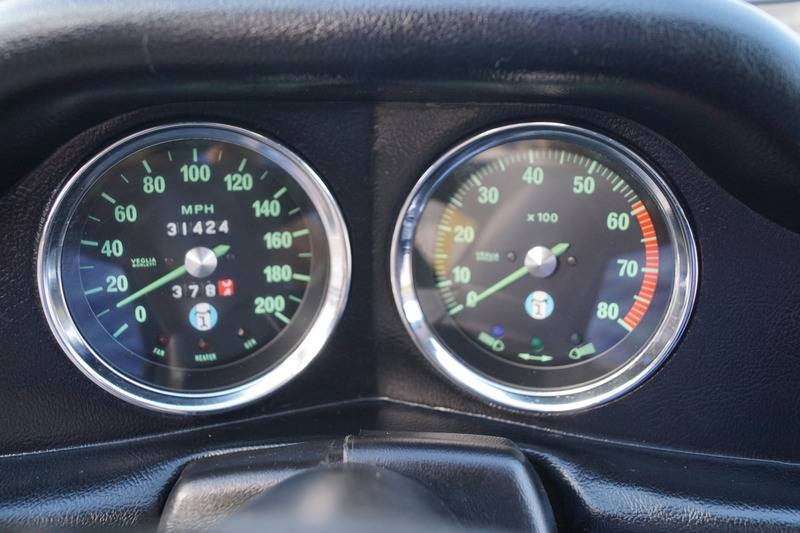 During 1973 the dash was changed, going from two separate pods for the gauges to a unified unit with the dials angled towards the driver. 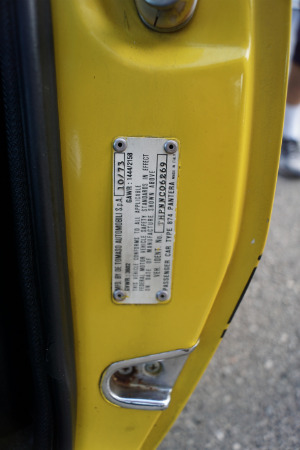 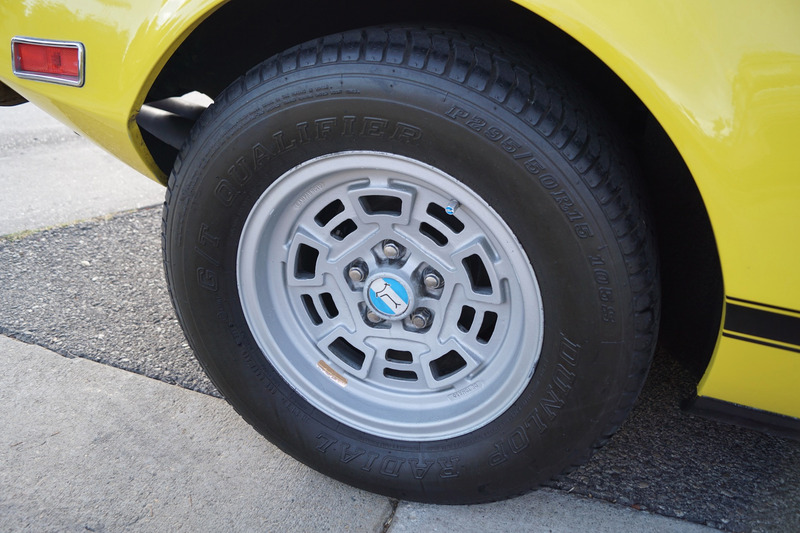 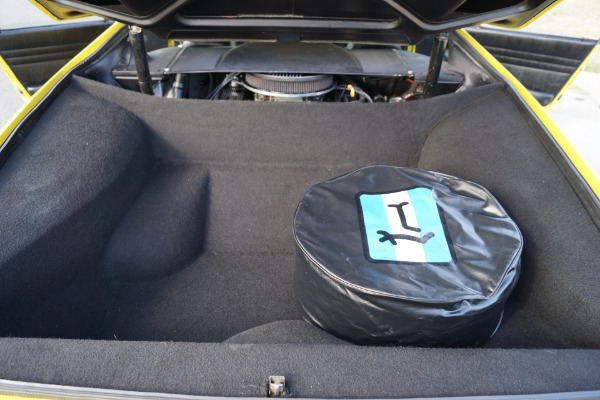 The U.S. version 1974 Pantera GTS featured GTS badging but not the higher compression, solid lifter engine of its European GTS "cousin". 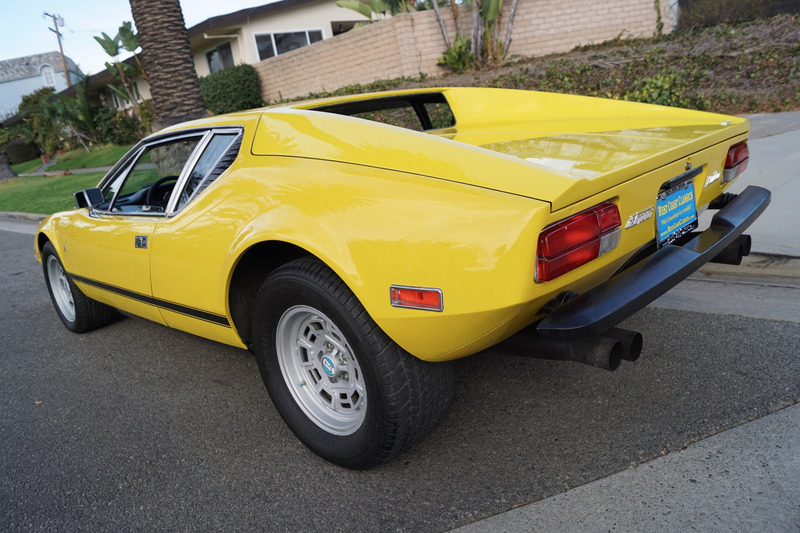 This particular 1974 De Tomaso Pantera L drives exactly like a well maintained and serviced low mileage Pantera should and must be driven to be fully appreciated and seen to be believed! 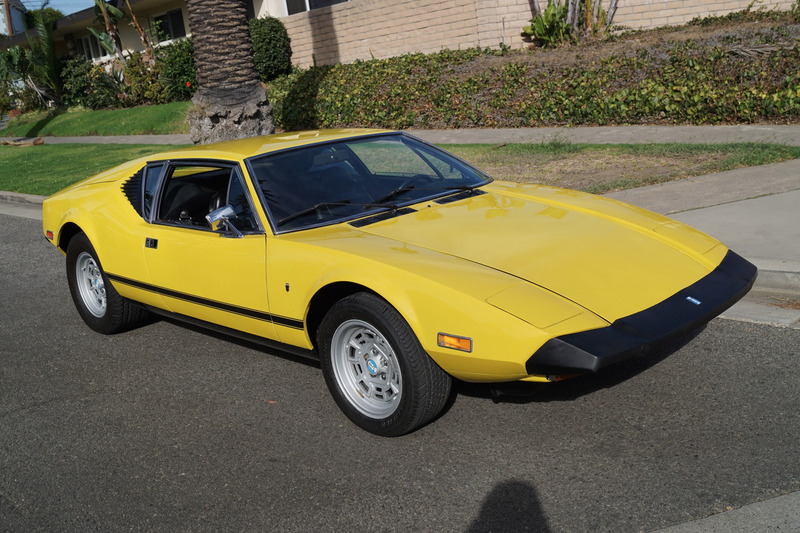 This is how the enthusiast or collector wants to buy them, stock and unmolested but obviously cherished and garaged with documented ownership history and with well maintained low miles. 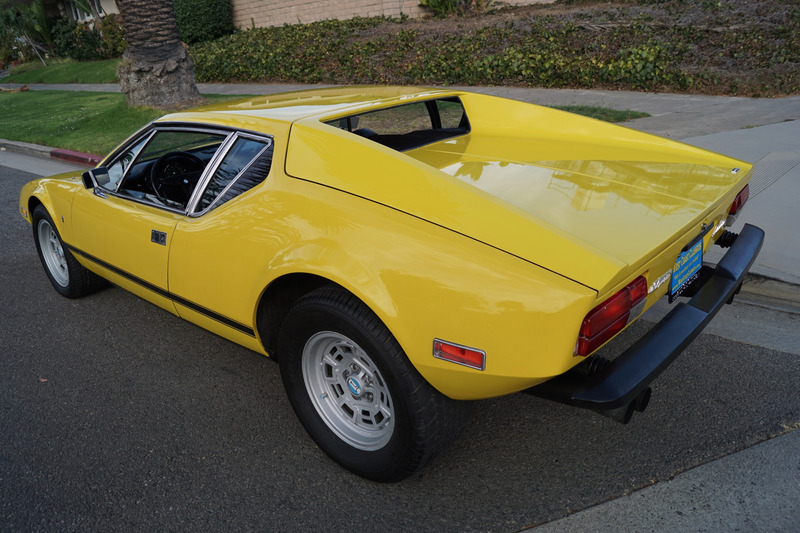 Certainly not one of the multitudes of over customized or extravagantly 'restored' cars so commonly available due to the car's immense international popularity, or indeed the undriven and unused cars with everything from shock absorbers to gaskets and seals all deteriorated and perished without use, as any enthusiast will agree, ideally you want a Pantera that has received both moderate use and regular service. 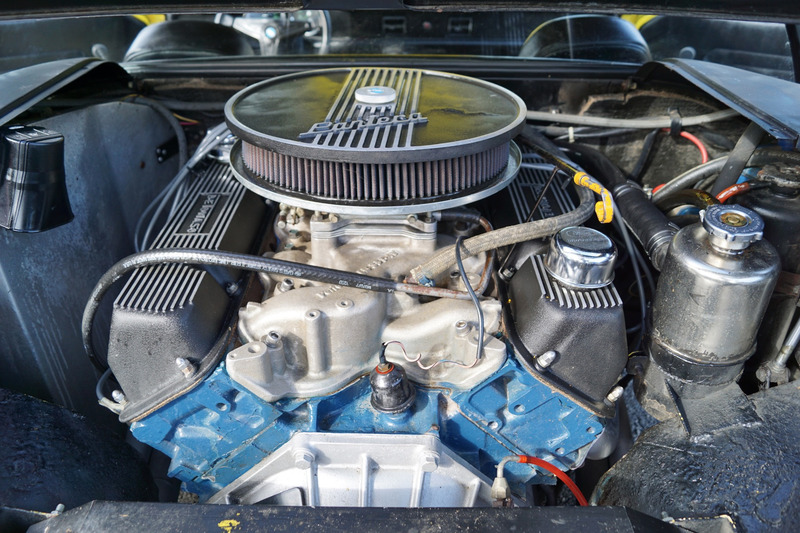 The original 351 Cleveland engine on this particular example boasts both moderate miles and a very well maintained service history with the engine proving extremely strong with no noticeable oil leaks, the clutch and the original 5 speed ZF manual transmission has a very smooth shift and the temperature always remains cool. 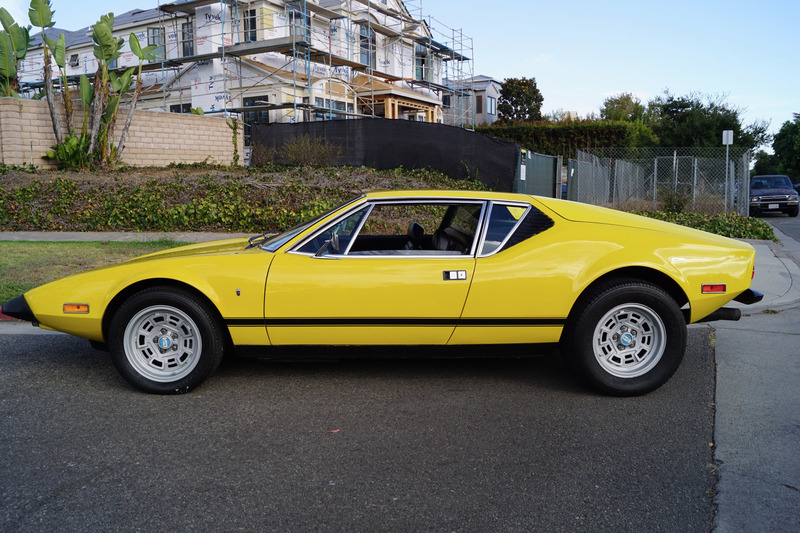 You will surely look long and hard to find a finer example of this exceptionally clean and increasingly collectible and legendary unmolsted and all stock 1974 De Tomaso Pantera L 351C V8 Coupe available anywhere else.